What can each of us do to take control of our own health in these days of long waiting lists and a clearly struggling NHS? Well, the answer is: quite a lot. The big stuff is best left to the experts, of course. Much of the rest is up for grabs. It’s a question of educating ourselves and tuning in to our bodies. Most of us know the feeling of having ignored the little niggling pains that then end up causing much bigger problems in the long run. But sometimes we might need a bit of help to translate them. The first step is to establish your Health Baseline – putting together a clear picture of what’s working – and what is not. 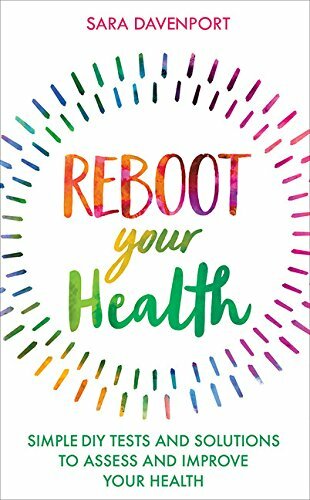 I wrote ‘Reboot Your Health: Simple DIY Tests and Solutions to Assess and Improve Your Health’ to show you, step by step, how to do it. 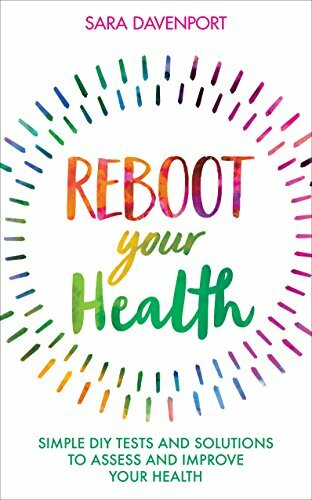 The book looks at all aspects of physical, mental and emotional health, offering easy tests and questionnaires to do to give a clear picture of exactly how healthy you are right now, before offering suggestions for addressing any imbalances or problems. We all need to drink more water. Did you know that 80% of your brain, 90% of your blood and 96% of your liver consists of water? And that 75% of us are regularly dehydrated? You lose water every day - from breathing, moving, sweating, exercising and going to the loo. Even mild dehydration can slow down your metabolism as much as 3% and increase feelings of anxiety and tiredness. You can tell if you are drinking enough by the colour of your urine – dark yellow means you need to drink a lot more. The average UK adult spends around 80% of their time indoors and that air is estimated to be up to ten times more polluted than it is outdoors, even allowing for traffic fumes. However much you regularly clean and vacuum, dust mites, mould, carpet fibres and all sorts of other pollutants are constantly present. Ionisers remove microbes, chemicals and dust particles, and re-energise your air. As well as reduce stress and anger, they help with depression and improve mood. Research shows that 3 hours’ sleep loss is the equivalent of a 50% reduction in your immune system’s efficiency. If you struggle to sleep at night, put in blackout blinds to make sure the room is dark. A cool room temperature is best – ideally between 16-18 degrees C – because it releases melatonin which helps you sleep. The blue light from lap-tops, phone or iPad screens phones read late at night wake your brain up, so switch them off. When your posture is good you breathe more deeply, carry less tension in your muscles, and your digestive system is able to function better. Don’t cradle your phone under your chin. Check the position of your chair in relation to your computer, and make sure you aren’t rounding your shoulders or tilting your chin forward to look at your screen. Try not to carry a handbag, your child, or your shopping on the same side of your body. Changing bad postural habits can transform your mood and similarly, changing your thoughts and feelings can change the way your body holds itself. Do one, then try the other and see what works for you. Your stomach is only the size of your fist, so eat smaller portions and on a smaller plate. Chew each mouthful slowly, for at least 20 seconds – it releases saliva that helps digest the food well. Eat organic and eat fresh whenever possible. Organic foods have more nutrients and less chemicals and exposure to light and air destroys the nutrients in foods in the space of a few days. And last, but not least, ‘eat the rainbow’. Try to include as many colours as possible in your choice of fruit and vegetables. Each colour contains different nutrients for health. You simply can’t get all the nutrients you need from today’s soil-depleted fruits and vegetables. Include a Multi vitamin; Multi mineral; Combined Omega 3 and 6 oil; Vit D3; B complex; Zinc and a Probiotic. Don’t go mad and buy much more. If you build a giant collection of pills and potions, you may get overwhelmed by how many you need to consume each day – and they can be expensive. Write a list of which supplements are good for your symptoms. Just choose a few to start, and finish one bottle before you start on the next. Some supplements take a month or two to boost levels that have been deficient so you may need to be patient before you begin to see an improvement. Monitor who you are spending regular time with. Sometimes we still hang out with people just because we knew them 40 years ago. You will have changed in that time, and so have they – and you may not even like them now. Remember the Radiators and Drains analogy: people are either like ‘radiators’, and warm and comfort you or ‘energy drains’ that leave you low and even depressed when you spend time with them. Become aware. Spend less time with them, or cut the relationship entirely. Every night before you go to sleep, write down five positive things that happened that day, however small and seemingly insignificant (the smile of a child on the street, or a sunny walk to work). Simply the act of recording these little examples will help to reinforce positive feelings about your life. Mindfulness, the practice of living in the present moment, stills the chatter of daily life and allows your inner voice to be heard, stopping us merely reacting to life on ‘automatic pilot’ and missing it altogether. Regular practice re-patterns the brain and changes the way it functions, breaking and changing old patterns of behaviour and thought. Mindfulness training reduces psychological stress by 54% and physical symptoms by 46%. Studies have shown that just looking at a beautiful view can lower your heart rate and stress hormones. Even a few minutes on a park bench looking at the greenery around you affects your nervous system in a good way, dropping any stress induced spike in the sympathetic nervous system dramatically. Depression is reduced 71% by walking outside and even 44% by walking indoors.